Setup validation in most crimping departments requires a pull test. The terminal is somehow clamped and the cable is pulled until something breaks. The peak force is recorded. Minimum pull out force values are recommended based on wire size. 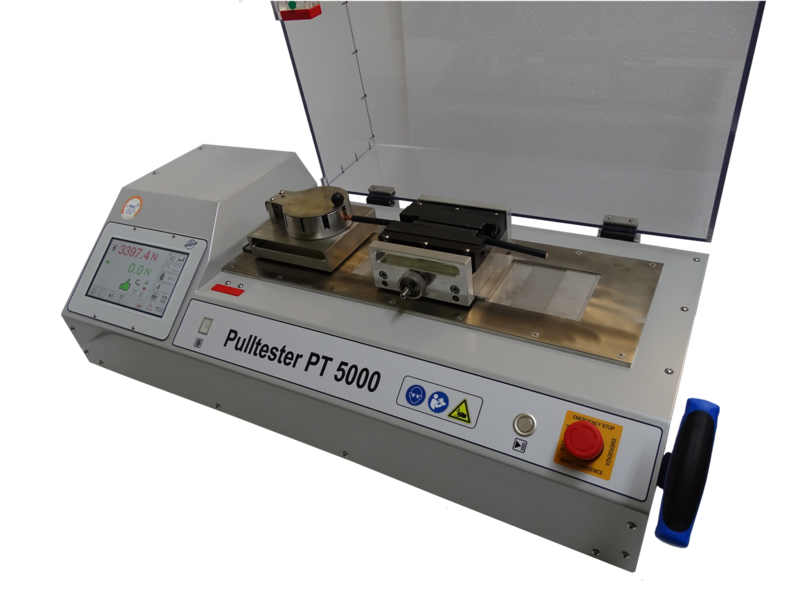 PT5000 is motorized wire pull tester with a Maximum pull force of 5000N (1125lbs). It has 3 test modes, Pull to break, Pull to defined force and hold force (5 min. max. ), and pull to defined force and release.